The excitement builds. Your colleagues scream enthusiastically at each other to hurry up with tying the twine. You tear your hair out because you were elected the team leader and now are responsible for making sure that the raft is completed within the alloted time. Meanwhile, you can’t help but notice and enjoy around you the soft breeze, white sand and bright sunshine. The tide is coming in and the raft needs to go out very soon. And to think this is all part of your job. What better treat for stressed-out office workers than to go on a company sponsored team building workshop in an exotic destination. Offsite team building programs give employees the opportunity to enjoy the easy charm of resorts like Phuket and Bali; the energy of cities such as Bangkok, Tokyo, Hong Kong or Singapore; or the outdoor excitement of New Zealand, India and Lantau Island; all while “working”. Offsite team building is also a good way for businesses to reward their employees with overseas trips and some companies have integrated their incentive programs with their team building activities. “It shows that management takes care of their staff in more than just monetary terms,” observes Alvin Quah, manager at Singapore Team Building. Sports goods maker Adidas makes it a point to send its Hong Kong staff on at least one team building workshop a year. “We definitely want them to have a good time,” declares Simpson Wong, Assistant Learning and Development Manager at Adidas Hong Kong. Wong, who organised last December’s offsite team building event in Bangkok for 110 the company’s Hong Kong employees, adds that the workshop was also meant to help develop trust among staff. “It was 70 per cent fun and 30 per cent learning,” he estimates. Companies are increasingly finding that important business skills such as the ability to form good relationships, and to cooperate and work well with others are best nurtured away from the office, in an environment that is both fun and challenging. 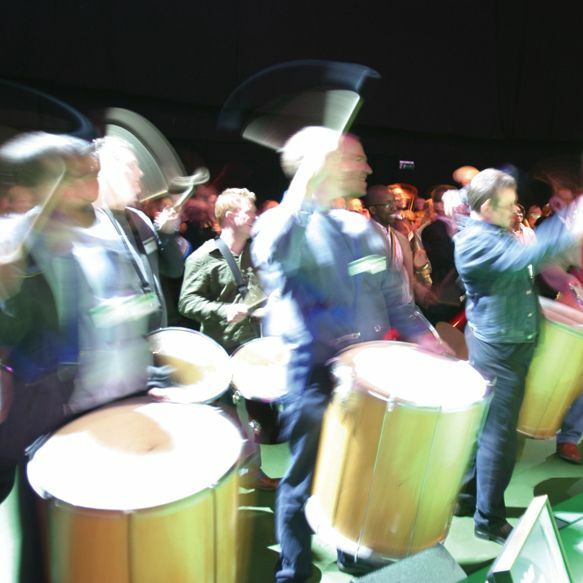 It is little wonder then, that offsite team building has become an increasingly popular human resource tool for both multinational and local companies in Hong Kong. “Companies that have staff who work together across countries but who have no opportunity to meet often, take advantage of offsite team building workshops where their people can get together and meet face to face,” explains David Simpson, director of training at Hong Kong-based Team Building Asia, which organises and runs team building programs around Asia. This has important ramifications when back in the office. 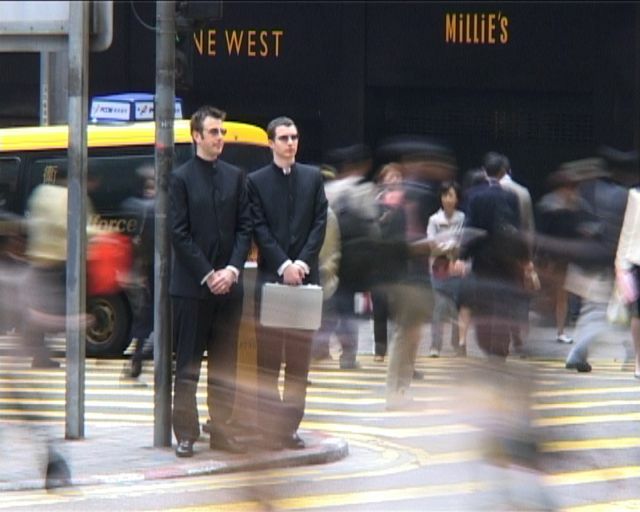 “Information is power,” observes Philippe Millieret, business development manager at Corporate Adventures, a four-year old company that provides team building programs to companies in Hong Kong. “People tend not to share it because they lose their competitive edge. When they know each other better they tend to share it.” Offsite team building activities are designed to break the ice and get the team well acquainted with each other. Being offsite is an important element in getting the right atmosphere for employee bonding and learning to take place – emails and all the other accoutrements of one’s work life are left behind and forgotten for the duration. “The idea is to remove all barriers connected to work,” remarks Millieret. Team building activities such as building a Formula 1 race car, abseiling down a cliff or running around a city hunting down clues, serve to strengthen teamwork and build on individual strengths. The benefit of offsite team building is that people tend to go back with a sense of achievement. “They would have discovered something about themselves and their colleagues that they couldn’t have in the boardroom,” says Millieret. “The programs are also very useful for managers. They really discover things about their staff. For example, a really shy secretary becomes a leader during an activity and this is very positive,” he adds. “You see different sides of your colleagues, things you never knew about them. You get keen insights and this helps to bring down resistance in the workplace,” Simpson elaborates. Fun is another important cornerstone of offsite team building programs. Bonnie Wong, Associate Creative Director at advertising agency Dentsu Hong Kong, said that she had fun at a company organised workshop in Bangkok last August. “Yes, of course I enjoyed myself,” she declared. “It was the case studies that I really liked. There were case studies set up throughout the three days and we would work the challenges out with our colleagues. “We attended classes and listened to speeches by trainers. We also made many site visits. It allowed a common language to develop between the different departments. The program was very detailed and it really worked,” Ms Wong described. The Amazing Race meets Mission Impossible in Team Building Asia’s Mission Possible city-based team building activity. Groups are divided into teams of five people who act as secret agents for their company. Each team views a customised DVD explaining the mission assignment and receives an attache case containing the mission brief, a SIM card to receive clues, a map, a digital camera, a compass, binoculars, and a list of specific tasks and clues that will lead them around the city. As part of their mission, participants will make use of the city’s public transportation systems. In Bangkok, for example, these would include the city’s tuk-tuks, water taxis, MRT and the skytrain. They are also required to visit some of the city’s attractions, such as Lumpini Park, the Chao Phraya River, Chinatown, the railway station and the Bangkok markets; sample local snacks, and talk to the locals. Mission Possible encourages teams to work together toward a common goal. Participants learn to prioritise their time and pick up such management skills as planning, communicating and delegating. They also develop leveraging skills and team spirit. Participants are put up in five-star hotels like the Shangri-La, Mandarin Oriental or The Peninsula. Team Building Asia has also run the same program in Tokyo, Hong Kong, Hanoi and Shanghai. With 11 hectares of lush tropical garden and 17 km of natural beach front, the JW Marriott Phuket Resort and Spa integrates scenic resort-style activities, such as snorkelling and island-hopping, into its team building programs. 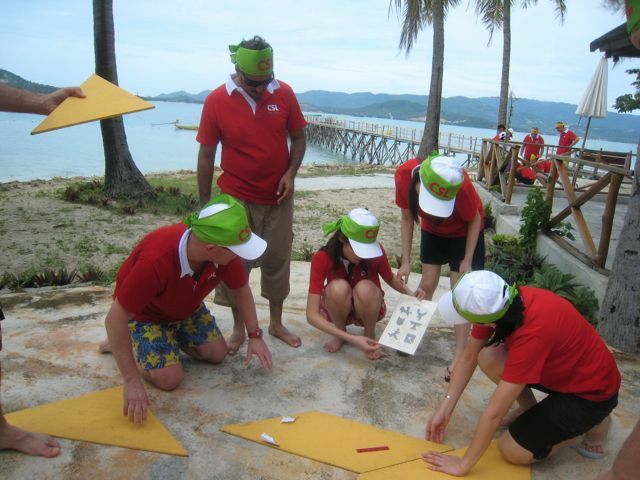 Participants enjoy the ambience of Phuket – the ‘Pearl of the Andaman Sea’ – while engaging in team building activities run by the resort’s recreation team. Reminiscent of the TV reality show Survivor, the resort’s signature program is Survivor Phuket, an executive team building experience which combines sightseeing with team work. It is designed to provoke all of the responses and emotions present in a group environment. Groups of between 10 to 250 people, are divided into teams that compete against each other by navigating their speedboats to five different islands. They are provided with instruction documents and maps and on each island the teams are expected to complete a combination of mental, physical and trust-based activities that give them the opportunity to work together and also to have a good time together. Participants also get to see each other in different situations. Survivor Phuket takes guests out of their comfort zone and challenges them to demonstrate team characteristics of leadership, decision making, planning and communications. 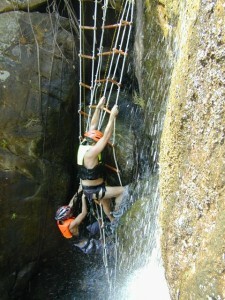 Located just 45 minutes from Central, Pui O Beach and its surrounding terrain on Lantau Island are rugged enough to provide a dose of serious adventure to spice up any corporate team building session. The beach has been leased by Hong Kong-based Corporate Adventures for their team building programs which include a rope course and climbing wall, raft building, beach olympics, and gorge climbing at the San Shek Wan Gorge. These team building activities encourage the development of core skills such as communication, problem-solving, teamwork, support, trust, team initiative, decision-making and foresight. 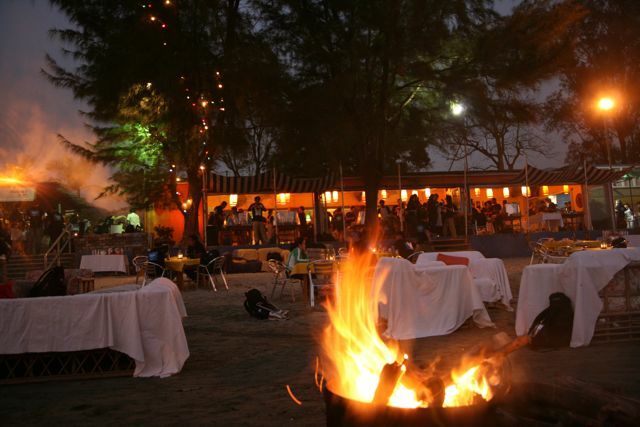 The company also operates a beach restaurant and bar called Ooh La La!, which provides the venue for much of the socialising and camaraderie at the end of many a tiring team building day. “When people work together, they don’t really know each other. We need to create a memory together,” says Philippe Millieret, business development manager at Corporate Adventures.